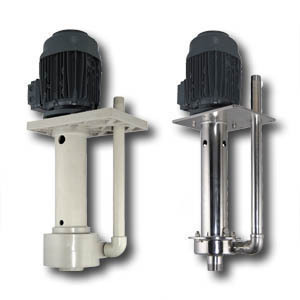 Vertical Pump, a sealless and dry running safe pump specialized for transfer and circulation of various liquids from containers, sumps and tanks. manufactured from PP (polypropylene), PVDF or stainless steel AISI 316L. CTV is a single stage vertical centrifugal pump that is simple but very reliable in duty.